A quaint family-run neighbourhood café. Look into the window of this little café and cake shop and you’ll be drawn in: thick peanut butter brownies nestle beside iced blood orange cakes, which sit next to plump sultana scones (and if you’re lucky, there’ll be tasters by the till). Wood floors and a mismatched mix of wooden tables (including an ancient sewing machine table) and chairs give this place a worn in, homely feel. The menu – featuring brunch, sandwiches and jacket potatoes – is written up on chalkboards behind the counter. There are a couple of in-demand window seats on the ground floor, but for more comfort, head up the spiral staircase to the mezzanine floor. After we ordered from the waitress at the counter (table service is available too), everything arrived promptly. The coffee was good, and my freshly blitzed juice was served in a trendy mason jar. The highs continued with the sweet stuff. Presented on pretty china crockery, a generous slice of pistachio and chocolate cake (£3.75) had a slightly molten consistency and melted beautifully in the mouth. The giant sultana-studded scone (£3) was warm, crumbly and soft, and came with dinky (perhaps too dinky) pots of clotted cream and jam. The stars here are the friendly service, drinks and cakes; an artichoke and avocado sandwich was solid, rather than sensational, while the börek (spinach and feta encased in a filo pastry) lacked crispness. Head here on a lazy day – and work your way through the sweet stuff. Lunch with drinks and service for two: around £24. Hands down the best cafe in north London! Amazing coffee, food and service. And the atmosphere is warm and welcoming. It is truly a gem in Highbury! Friendly, family little coffee shop in Highbury! Nice prices and tasty breakfast/brunch selections that satisfy both savoury and sweet choices. Lovely friendly cafe. Lemon cake to die for! 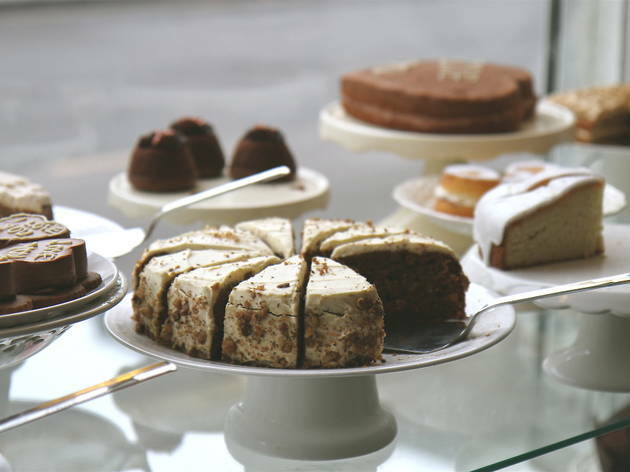 amazing freshly baked cakes - a true Sunday afternoon gem! Great place. Very friendly staff and great food. Good coffee and lovely cakes. Stay away from this place if you are on a strict diet! Fabulous family run coffee shop. Great real coffee and delicious home baked cakes. Try the oreo cheesecake. Small cosy place with delicious cakes. Great place, great staff but best of all GREAT CAKES! Best customer service in London. Delicious handmade cakes and super outstanding coffe!! Very friendly family environment. Fresh beautiful cakes and treats which vary daily. The decor in this cafe is very nice too. I go there every week and never left disappointed. superb cakes, warm customer service and a delightful ambiance to ensure you'll never want to leave!!! Cozy place with incredible cakes. Best cakes in London!! Highly recommended! Stunning cakes, light and fluffy. Can't beat them! Wooow I was there yesterday definitly super cool place to go nice coffee nice cake friendly people. Family run and family friendly. A gem with excellent cakes and top sandwiches for picnics in Highbury fields. A wonderful experience! Great coffee and great customer service in a very cosy and friendly environment...Oreo Cheesecake, unforgettable! I just nominated Highness Café and Tea Room as one of London's best venues. Lovely cakes and coffee. Run by family, warm and welcoming. Oh and the patisserie chef is cordon bleu which she doesn't advertise but the cakes and food speaks for itself..highly recommended. Very friendly service good food and delicious cakes . 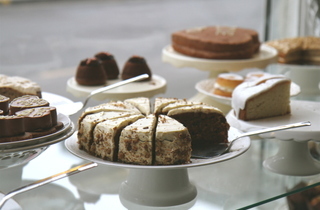 They have amazing range of cakes including gluten free range all home made . They also have home made salads sandwichies .